Now available in paper, this resource provides church workers with information on teaching approaches, program administration, and childhood development related to teaching children up to age twelve. Topics cover age-group characteristics, discipline, learning styles, summer ministries, and more. 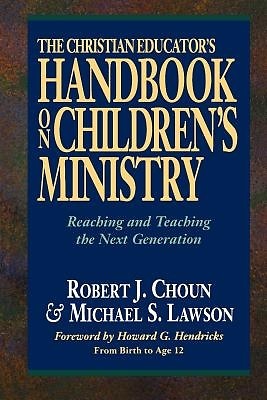 After exploring the biblical and historical perspectives on why the church is called to minister to children, the authors provide suggestions for developing primary goals and objectives for children u 2019s programs. Entries are arranged alphabetically for easy reference and include detailed information on children u 2019s ministry resources. The book is a companion volume to The Christian Educator u 2019s Handbook on Teaching, The Christian Educator u 2019s Handbook on Adult Education, and other books in the series.